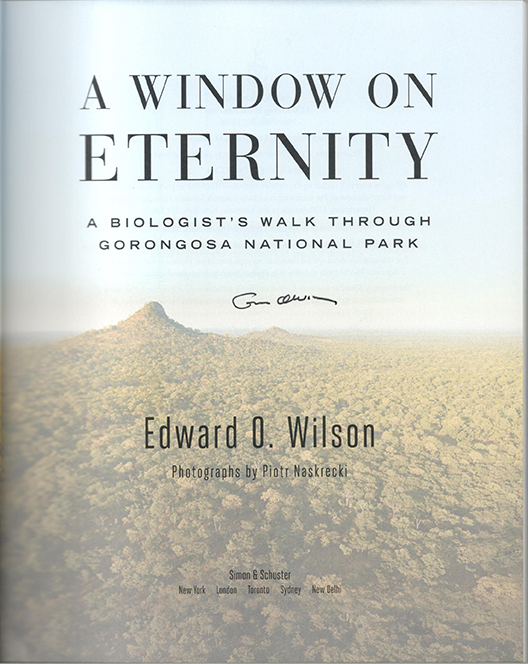 A WINDOW ON ETERNITY: A BIOLOGIST'S WALK THROUGH GORONGOSA NATIONAL includes straight-forward insight and gorgeous photography of one of the world's most biologically richest places. 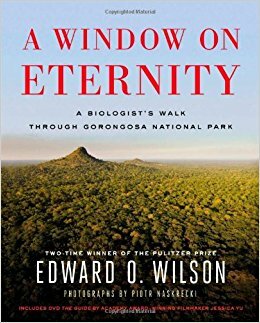 While examining the woodlands that gave birth to humanity, Edward O. Wilson allows the reader to visit sacred spots and even "hear" conversations with traumatized elephants. THIS COPY (shown below) comes with a companion DVD directed by an Academy Award winner and was signed on the title page by Edward O. Wilson in his office. It is a new, unread first edition opened only for signing. Published in April, 2014 by Simon and Schuster. 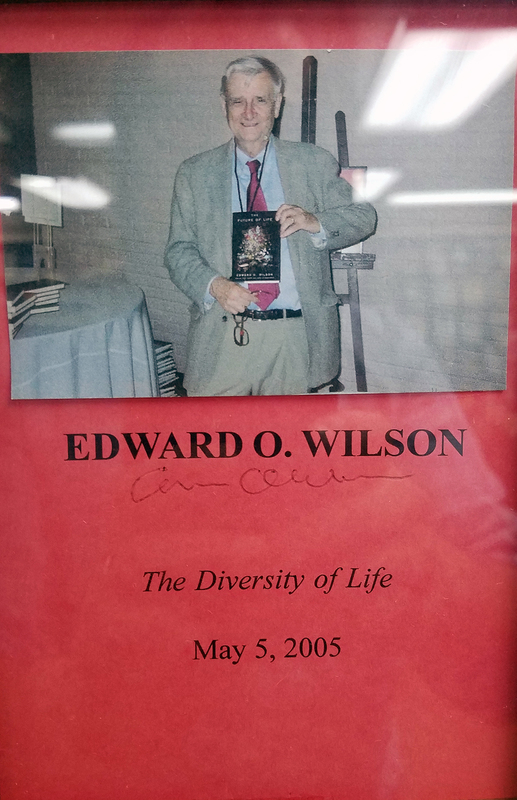 EDWARD O. WILSON (pictured below from our Wall of Fame) is a Homeboy (born in Birmingham and raised in Mobile, B.S. and M.S. from the University of Alabama) who never forgot his roots. He is the most respected naturalist on earth, and in the twenty plus years since he retired from Harvard, he has written fifteen books. Among the huge number of honors, he has won two Pulitzer Prizes. Thank you Edward O. Wilson for signing our books.